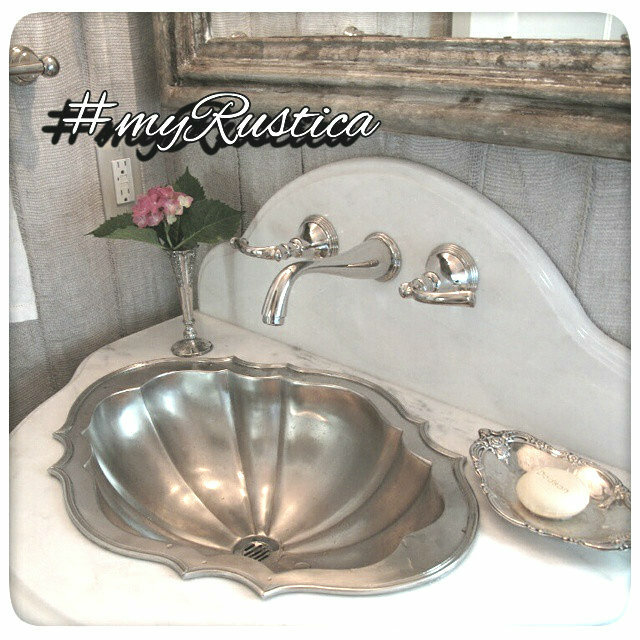 Rustica House pewter bathroom sinks are most definitely one of the most decorative rustic fixtures. The production of pewter sinks begins with making a sand form and then pouring hot aluminum metal into it. Once the metal inside gets cooled, the sink is removed and finished using variety of techniques. The final product can be shiny, rustic or brushed. There are many pewter bathroom sinks available and they include rectangular, round, irregular or oval. They can be either vessel or undermount drop-in type. A pewter sink is very durable and will last in the bathroom with very little maintenance for many years to come.